As I sat in a sun-drenched conference room overlooking Washington, D.C.’s Georgetown neighborhood and the Potomac River on a clear cold winter day in 2003, a newly appointed senior health and wellness executive from one of the world’s largest food and beverage companies told a group of his industry peers his company – and every company in the room – had an obligation to change the way they do business. Consumer trust in food and beverage companies was eroding due to changing consumer priorities and the increasing influence of consumer activist groups, non-governmental organizations and opinion media. These relatively new voices, translators of information changing hands between consumers and the brands they buy, blamed the private sector for causing the obesity problem in the name of profit. In retrospect, 2003 is a watershed year because food and beverage companies started to examine their portfolios and business practices in search of a new way of doing business that would counter critical voices, connect with consumers and energize sales. What followed was an unprecedented, ambitious fifteen-year effort by food and beverage companies to make healthier products produced sustainably, sourced ethically and in keeping with a broader socially-responsible vision. The food industry didn’t just change the way it does business. It learned how to become a great storyteller that could connect with consumers on an emotional level. Company ads, images, labeling and marketing campaigns united to tell the story of companies and brands that cared about their consumers and the values they hold dear. Food and beverage companies individually and collectively are transcending the negativity of food translators and restoring consumer trust in their brands. For decades, consumers routinely went about their food shopping with mindless efficiency, grabbing their family’s favorite foods with little thought about nutrition or the corporate values of the manufacturers. Call this post-World War II period the First Wave of food consumerism. Then, things started to change in the 1990s, when large numbers of consumers demanded more information about their food. They wanted to know what is in it, how it was made and where the ingredients come from. They wanted “clean” products and healthy options. Fast-forward to today, when more than half of consumers read food labels before they buy a product the first time, and nearly two thirds want to know how their food is produced. This data shows most consumers are taking the time to learn about the nutritional content and sourcing of their food, as well as the corporate social responsibility commitments of manufacturers and retailers. This – the Second Wave of food consumerism – is where we are now. However, emerging evidence shows another major shift may be underway. Consumer trust in food companies is up 15% according to a 2016 survey. In addition, Edelman’s 2017 Trust Barometer shows consumer trust in food and beverage companies is significantly higher than consumer trust in businesses in general, while trust in non-governmental organizations (NGOs) ticked down slightly. Companies are starting to re-establish a bond with their customers. Back in 2003, a colleague from a leading food and beverage company told me privately, “we just need to start doing more smart things.” Fifteen years later, it looks like industry’s effort to do more smart things is paying off. Consumers are happier and more trusting of food companies, and they have embraced the minimalistic products and socially-responsible leadership food companies are providing. Call it what you want – clean label – socially responsible – fresh, local and organic – but what modern consumers want is worriless shopping and eating. They want to know nothing they put in their bodies causes physical harm. They want to know the companies that make the food they buy does no harm and makes the world a better place in some meaningful way. If food trends continue, we will soon reach the Third Wave of food consumerism. 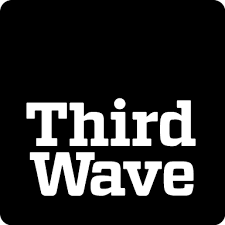 That Third Wave will occur when consumers return to automatic grocery shopping habits, inherently confident that the food they buy is good for them and the companies that make it are balancing profit with responsible business practices and shared values. Conventional wisdom holds that consumer activist groups, non-governmental organizations, documentary film makers, authors and bloggers have food companies on the run with their attacks. What few have noticed is that while food company antagonists keep focusing on the next attack, the food and beverage sector has implemented a sweeping, fifteen-year modernization effort that is transcending the negative voices and is rebuilding consumer trust. Of course, food industry critics like Vani Hari will always exits, but their influence will wane over time if food companies continue to do smart things. The impact of those negative voices will decline because food companies have changed their products, changed the way they do business and changed the way they communicate. That Third Wave of food consumerism will arrive sooner than you think, because food companies were willing to do things differently and consumers know the real thing when they see it.